I’ve always been a fan of marine life. If I didn’t grow up in the most land-locked state in the United States, I would have been a marine biologist. 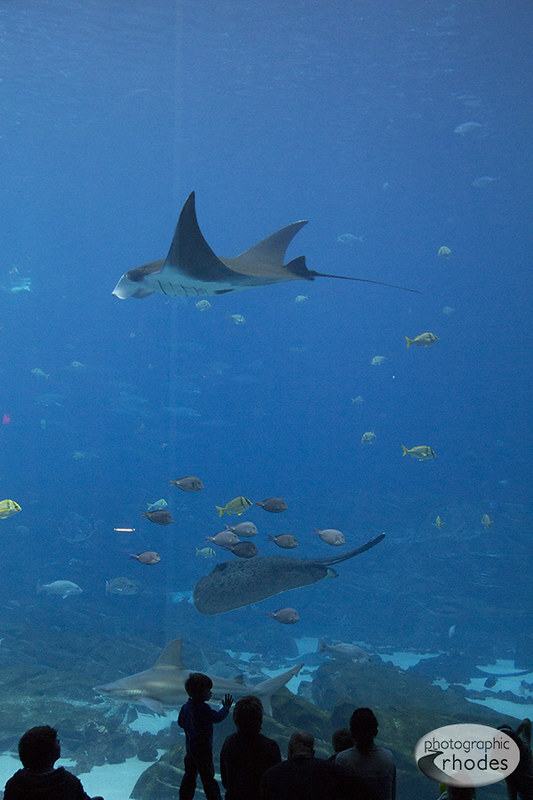 Last week we got to experience Georgia Aquarium, and we even had the rare opportunity to scuba dive with whale sharks, manta rays, grouper, and other fish. A little known fact: whale sharks are the world’s largest fish. They’re known as “gentle giants” because even though they are sharks, they eat krill just like whales. 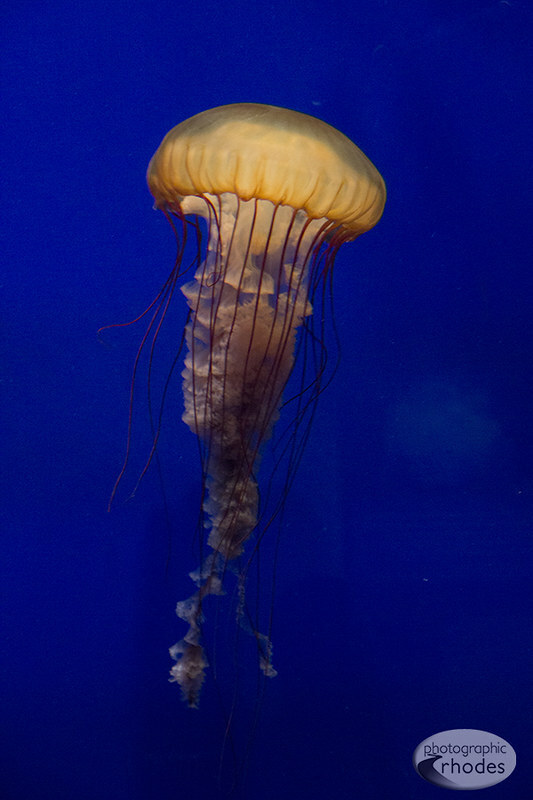 Here are a few photos from our day at the aquarium. Do you have a favorite photo below? 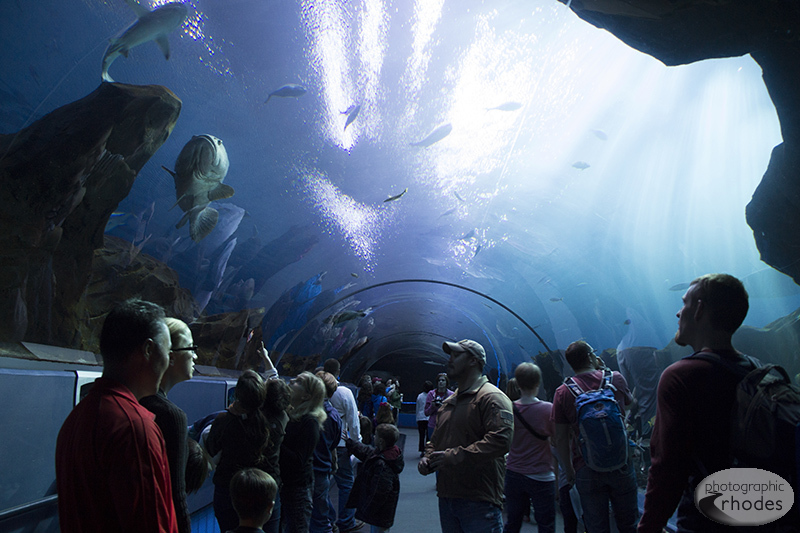 This tank was 6.3 million gallons – making it the largest aquarium in the world. Despite their 15-foot wingspan, these manta rays were very people-friendly. When we dove with them, they swooped down inches above us to get a taste of our air bubbles. 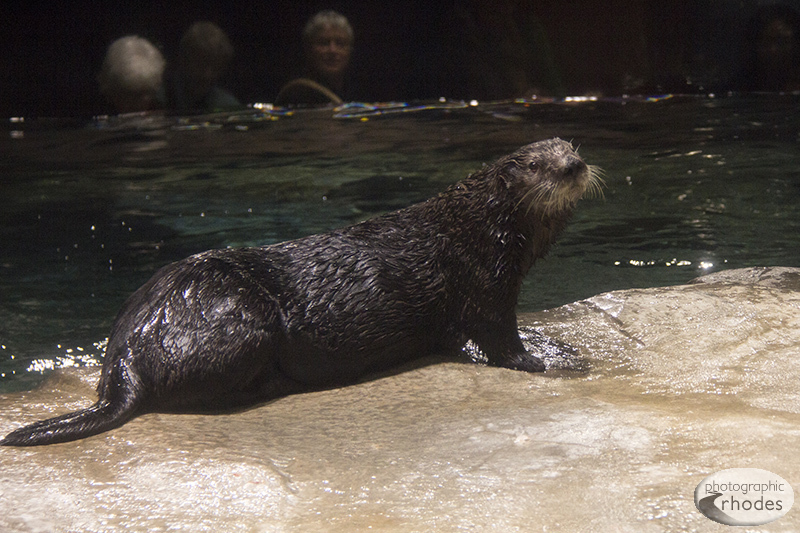 This cute sea otter was part of the Cold Water Quest exhibit at Georgia Aquarium. 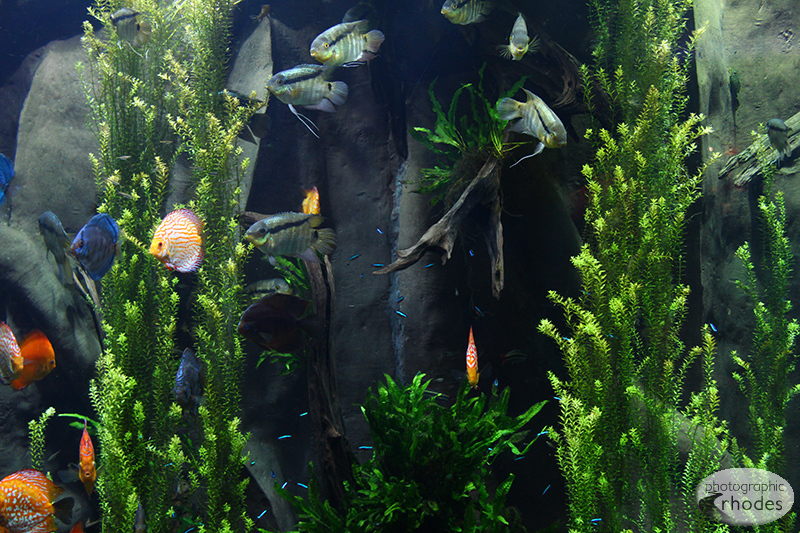 These bright fish originate from lakes in Africa. I used to have a small fish tank with little blue tetras just like the blue specs in this photo. 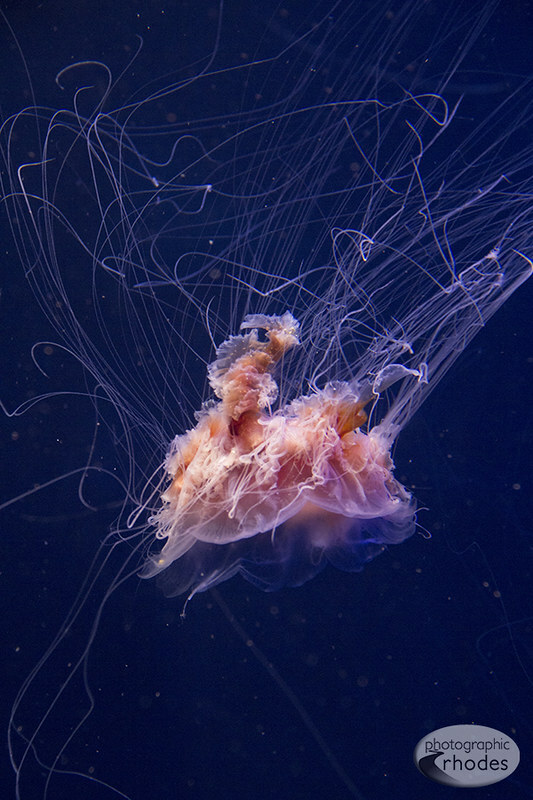 Jellyfish may be dangerous, but I find them to be beautiful. As long as I’m not swimming with them, of course. Wow! What fantastic shots! It pales in comparison, but I took my daughter to the aquarium here in KC today. I, too, find jelly fish to be absolutely amazing! I totally agree with you. I would definitely go back to the KC aquarium if it were <$10 like Shedd. I'm also not a fan of how it's laid out … how you're kind of forced to go through in a circle. But I'm still glad KC at least has an aquarium.